A custom go-kart race is coming to Columbus. 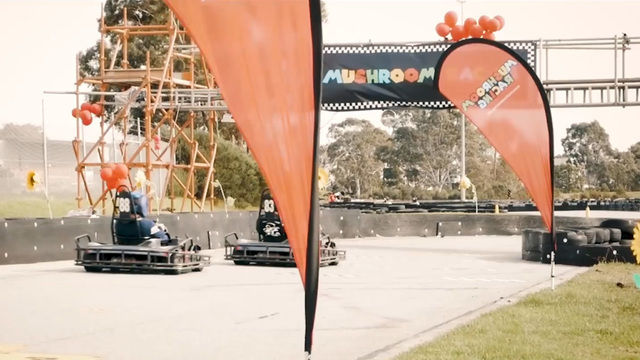 Dress up as your favorite racer such as Luigi or Mario and hit the track because the Mushroom Rally, a traveling go-kart race event, is coming to Cincinnati and Columbus in early 2019, according to the Dayton Daily News. Participants can get a costume for 30 minutes and race and play games and activities. They can race against their favorite characters while collecting while collecting stars to win amazing prizes, according to Mushroom Rally. Event dates for Columbus and Cincinnati have not been announced. Tickets for racing are limited and one winner from each city will be flown to Las Vegas for the grand finale and a chance to fight it out for the grand prize, event organizers said. For more information, visit the Mushroom Rally website.